Today was Prom day in our city, and in our home. It was our Senior’s first and last prom. We knew we’d be busy all day, especially with shooting photos. So sandwiches were a no brainer. These were hands down my favorite and were utterly delicious! 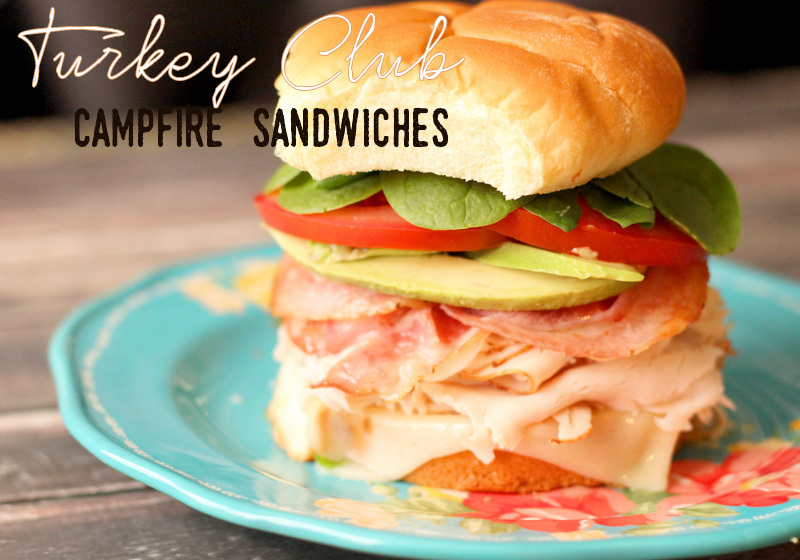 If camping, you can prepare these sandwiches before you leave and then just throw them on your Grill Plate to heat & eat. Our recipe makes 4 sandwiches, so double or triple, etc. for the size of your crowd. We love these for lunch or a quick & easy dinner. If you have followed this blog and own a Pappy’s Campfire Cooker… you know the drill. Light your fire and let it get to an even flame. Fry Pancetta or Bacon in a medium cast iron skillet placed on the Grill Plate, and set aside. Split buns and brush the insides of both the bottom and top buns with the Garlic flavored Olive Oil. Start layering: Bottom bun, Swiss Cheese, 1/4 lb. of Turkey, Pancetta or Bacon, top bun. – We intentionally placed the cheese on the bottom bun so that we could easily add our toppings after. Wrap each sandwich in foil. Place foil wrapped sandwiches on Grill Plate for about 10 minutes, until sandwich is hot and cheese melted. Removed from Grill Plate, carefully open foil after cooling a bit, removing top bun finish by topping with spinach, sliced tomato, and avocado. Place bun back on and dig in. You’ll thank me! If you are camping prepare sandwiches as stated, and throw in your cooler in Ziploc bags until you are ready to cook on your Cooker.